Earn Additional Income Today – Sign up for the Lean Body Smart Life Affiliate Program at Today’s Dietitian Spring Symposium! Subject: Earn Additional Income Today – Sign up for the Lean Body Smart Life Affiliate Program at Today’s Dietitian Spring Symposium! Start Earning Additional Income Today! The Lean Body Smart Life RDN Affiliate program is a smart way for RDNs to increase their revenue and get in front of groups, businesses and organizations, as well as enhance private client services. 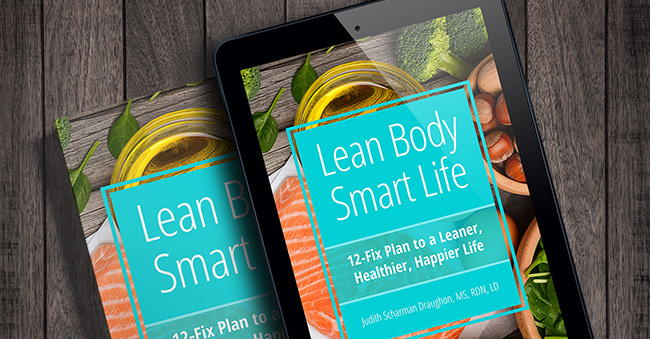 The 12 customizable presentations alone are worth the low, one-time affiliate fee of $199, but this program also includes 10% commission on your sales of Lean Body Smart Life, the full-color book used as a manual and guide. Visit our booth at the Today’s Dietitian Spring Symposium to check out the softcover book, ebook, accompanying app and slide presentations!